GAO RFID’s selection of RFID tags for animal tracking provide you with a way to better track livestock or identify pets and exotics, as well as laboratory animals. 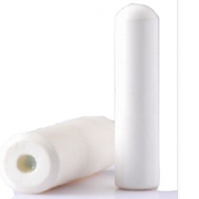 Our range of LF Glass Tube RFID tags are enclosed in bio-compatible glass, resulting in a completely harmless tag for animals including livestock and pets. Our embeddable RFID tags are the popular solution for pet identification. 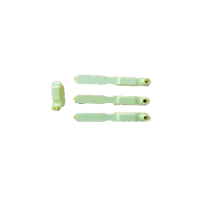 We also offer a line of UHF animal ear tags that are excellent for applications that demand high anti-collision rates. 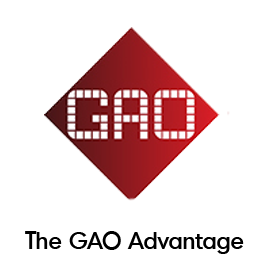 GAO RFID provides a diverse selection of RFID tracking devices for animals that enables farmers, breeders, and veterinarians to fulfill their traceability and identification needs. The RFID tags for animals are available at a variety of frequencies that include 134 kHz low frequency, 134.2 kHz frequency, 125 kHz low frequency and 860 MHz to 960 MHz operation frequency. 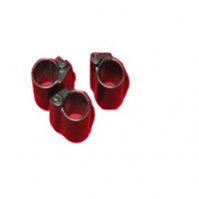 Most of these tags are compliant and support various protocols such as ISO 11784, ISO 11785, ISO 14443A, ISO 15693, ISO 18000-6C, EM 4001, EM4005, EM4100, EM4102, EPC, ICAR. 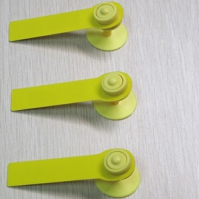 The tags are offered in different materials and designs to comply with different needs. 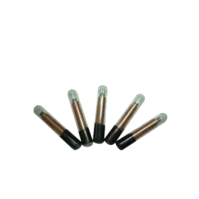 There are LF Glass Tube RFID tags that are enclosed in biocompatible glass, designed as a harmless tag for livestock and pets, which is injected under the skin of the animal. 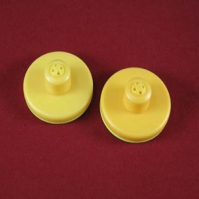 Additionally there are embeddable RFID tags usually used for pets and UHF animal ear tags that are usually made of thermoplastic polyurethane or polyester and are commonly for applications that demand high anti-collision rates. 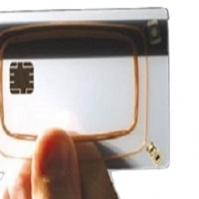 Most of the animal RFID tags are waterproof and shock resistant. The animal RFID tags enable users such as livestock farmers, breeders and veterinarians to track livestock or identify pets and exotics, as well as laboratory animals. These tags can be use for many applications such as farming, laboratory research and even for pet owners. The tags can be either, in a glass tube that is injected into the animal’s skin or it can be an ear tag that hangs in the animal’s ear. 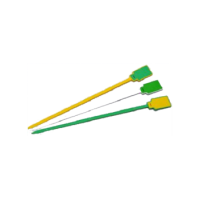 With a variety of frequencies available and protocols that enable short to middle range reading, these not sensitive to radio interference tags provide solutions to a wide variety of traceability and identification needs. Please see our full selection of animal tracking tags below. 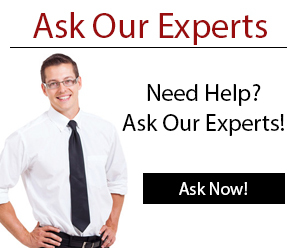 If you need any help deciding the right tag for you application, just as our team of Experts! 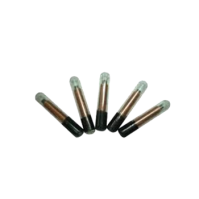 This 134 kHz LF Glass Tube RFID Tag is commonly used for animal identification, small parts identification, and medical parts applications. 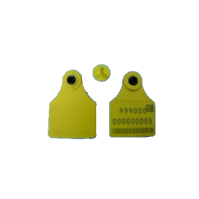 This Livestock ID Ear Tag is specially designed for animal management and is commonly used for tagging cows or similar sized animals. 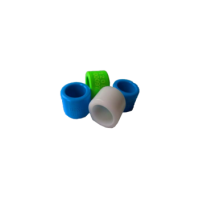 These 134 kHz LF Livestock Tracking Ear RFID Tags are shock and water resistant and designed for tagging livestock. Our 134.2 kHz. 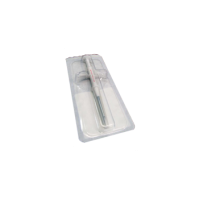 RFID LF Animal Bio-Glass Tube Tag is pre-loaded in a sterilized injector sealed in plastic ready for injection under an animal’s skin. 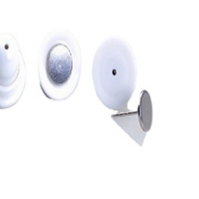 This 134.2 kHz low frequency RFID ear tag is specially designed for animal management and is commonly used for tagging sheep, goats, and cattle. This 13.56 MHz animal ear tag is intended for the tracking of medium-sized livestock. The Bird and Fowl Foot Ring Tag is available in LF and HF frequency bands and is ideally suited for pigeon tracing and chicken tracing in harsh environments. 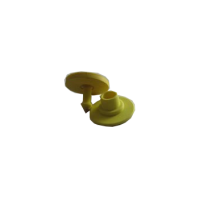 This Dual-frequency LF RFID Ear Tag is designed to be waterproof and dust resistant, allowing it to be used for livestock management and tracking. 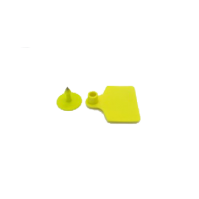 This LF Animal Ear Tag is designed for short reading range up to 0.32 ft (0.1m) and is most popularly used for an animal identification, animal tracking and epidemic control. This LF Animal ID Tag is specially designed for animal or bird identification and tracking with long durability and service life. This LF 134.2 kHz Animal Bolus Tag’s form factor and IP-67 rating make it suitable for animal identification and tracking. This UHF 860 MHz-960 MHz Dog tag is NFC compatible and designed to be a waterproof, allowing it to be used in many animal tracking applications. 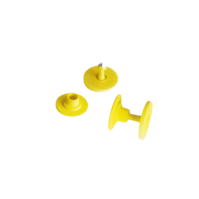 This UHF Ear Tag is designed for long range reading up to 16.40 ft (5 m) and is ideally suited for an animal inventory management and food safety. 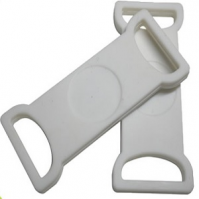 This UHF livestock foot ring RFID tag is designed for tracking poultry and fowl and can be used in food traceability security control.